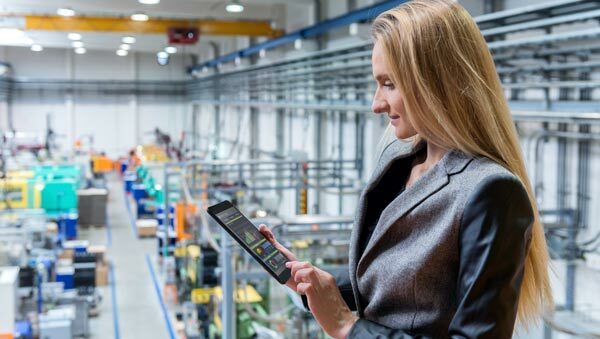 Industrial IOT (IIOT) solutions for automation. VBASE. iIoT - Industrial Internet of Things. The future of the production is digital. The Internet of Things (IoT) generally describes the replacement of the familiar PC systems with "intelligent objects". The small connected computers should not, as before, be the subject of human attention, but should discreetly support human beings and communicate directly with the network. 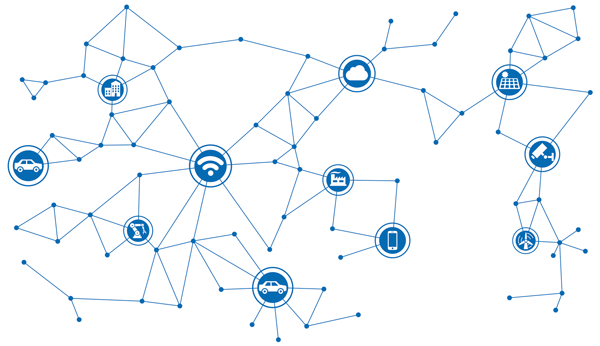 The Industrial Internet of Things (iIoT) transfers this concept to the industrial field and characterizes a system consisting of a large number of devices, which are connected by communication software. The resulting system and the individual devices can monitor machines, collect, exchange and analyze data, and react immediately to specific events - all without human intervention. Pleade request our latest VBASE and VGATE price list. The interface for iIoT devices. The many interfaces and the great compatibility with automation devices of various kinds make VBASE a universal interface for the industrial IoT. VBASE is compatible with more than 200 different bus and remote systems. This also includes standards that can be used across manufacturers and systems, such as OPC. Gateway between manufacturers and interfaces. As a gateway, VBASE not only ensures the connection of the connected devices to the network or internet, but also allows the devices to communicate with each other. Data from different manufacturers and interfaces are harmonized and exchanged. 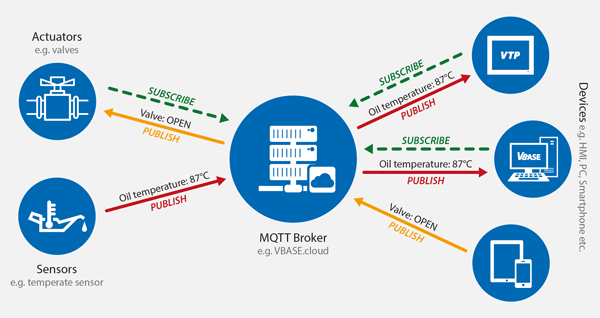 With MQTT, VBASE integrates one of the most important M2M and IOT protocols for communication via the cloud. The slim protocol with low overhead offers real push communication, it is scalable to several thousand clients and works even with a poor mobile radio connection. MQTT implements a publish/subscribe architecture with a broker (server) as the central point for all senders and receivers. The broker distributes the messages (topics) to all recipients who have subscribed to the topic. The broker can also provide the last value of a topic in case individual recipients were not connected to the broker at the time of publication. When choosing the broker, you have the choice. VBASE supports both public and self-hosted MQTT brokers. VISAM GmhH also offers a corresponding service via vbase.cloud. More information about automation with MQTT and VBASE. The products of the VGATE series are robust compact servers for data collection and data exchange between different systems, physical interfaces and protocols. They are suitable, for example, for data transfer, data collectors, interface converters (Ethernet <-> serial) or as servers for higher-level systems. The VGATEs use powerful yet fanless processors and are built without moving parts, which makes them extremely well suited for use in the industrial environment. They offer a wide range of interfaces and can be flexibly integrated into existing applications. Further information about VGATE Automation Server & IOT Gateways.